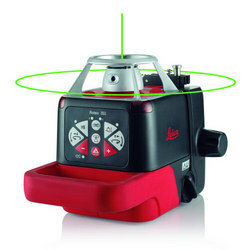 On ceilings or walls, on the floor or on a tripod, the Leica Roteo 35G rotating laser is a multi-talented per-former. You can use it to work precisely on many indoor tasks in which leveling or aligning is required in very bright conditions and over very long distances. 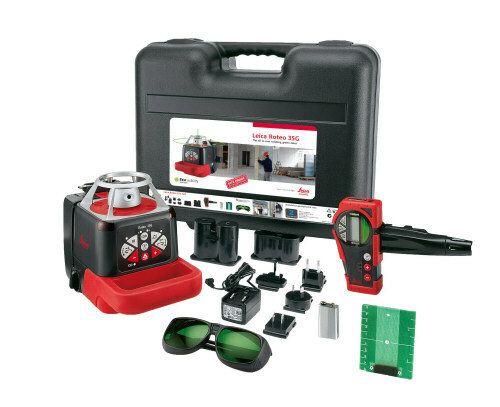 The package includes a complete set of accessories for interior works with remote control detector, motorised wall mount bracket and target plate. 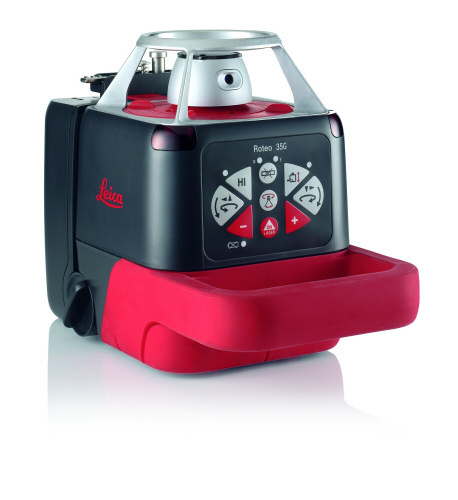 The Leica Roteo 35G has all the characteristics of the Leica Roteo 35. In addition, it has a green laser beam. The pioneering green laser beam is four times more visible to the human eye. So you have the best possible visibility. 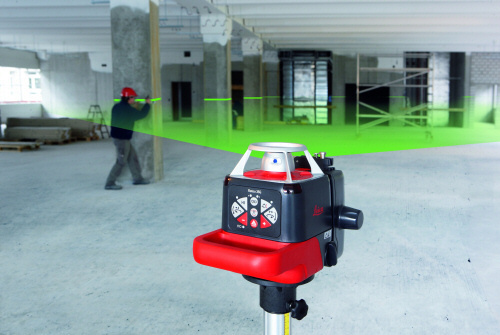 The Leica Roteo 35WMR laser level features a motorised wall mount, allowing for the instrument to move easily up and down when attached to the wall for ceiling grid installations or aligning when used in its lay down mode. 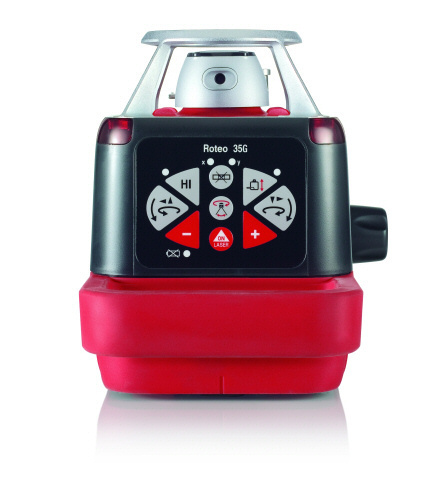 All operations can be controlled from the remote control and RRC350 laser detector eye. With its motorized wall mount, the Leica Roteo 35G can be posi-tioned on the wall and moved effortless backwards and forwards using the combined remote control/detector unit, allowing you to quickly suspend ceilings and erect drywalls. 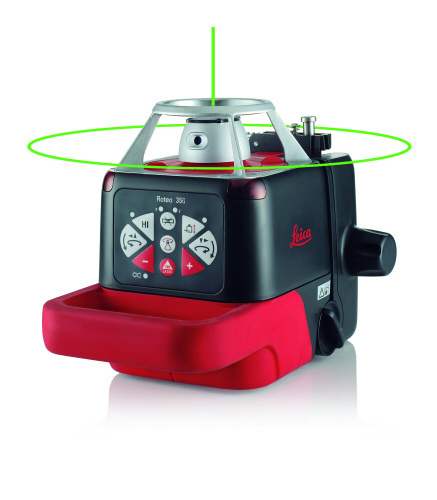 The Leica Roteo 35G is also a great help in the vertical plane. The combination of a vertical 360° reference plane and plumb beam simplifies lay-out, allowing you to work more accurately and efficiently on interior works. You can position the laser manually or with the help of the wall mount at any angle between 0° and 90°, allowing you to work without any problems on stairs an roof pitches. 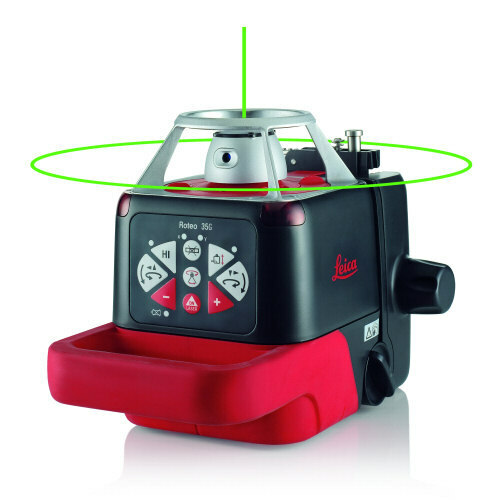 With the Leica Roteo 35G you can deselect the rotation mode and have the laser project either a spot or a fan of between 2 & 36° the increase the visibility of the laser. RRC350G combined remote control/detector unit with clamp allow the user to detect the laser when it cannot be seen and also access the many user functions of the unit itself.